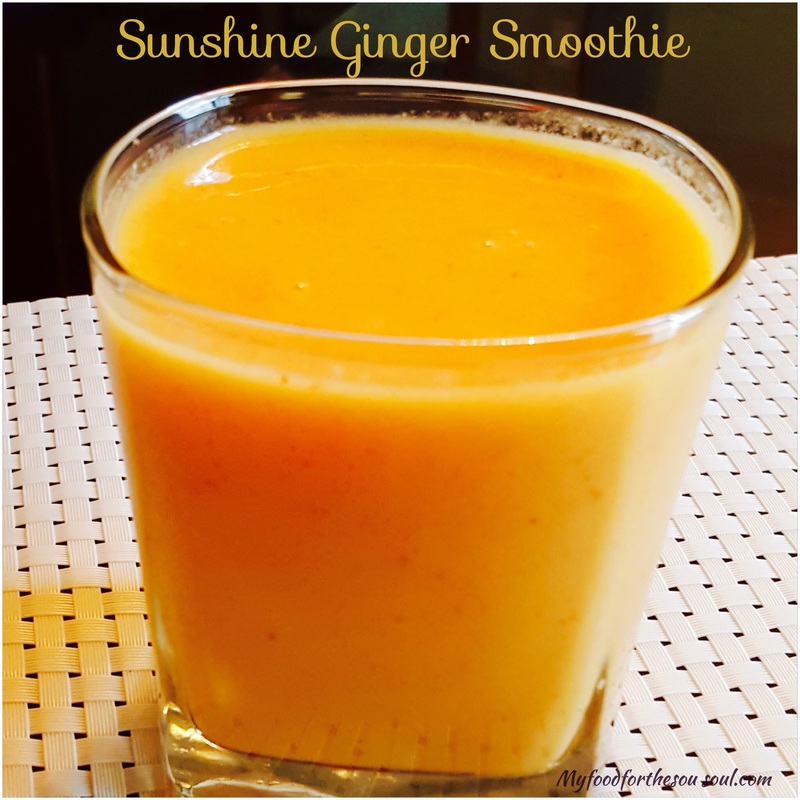 Stay healthy, boost the immune system, and keep the body energized with this super delicious and excellent source of “Vitamin C” packed Fruity Sunshine Ginger Smoothie. 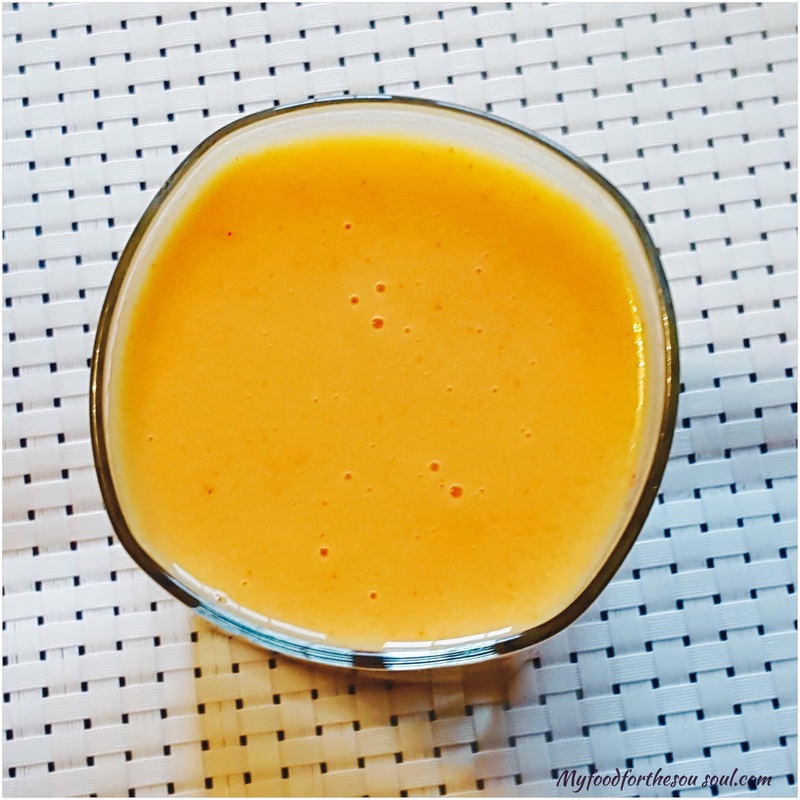 The delightful taste of your favorite mixed fruits like papaya, strawberries,plums, apple and pineapple with a piece of super anti-oxidant fighting ginger, a generous amount of honey and a huge shot of Orange Juice with the super added touch of my all time favorite “TURMERIC POWDER” all blended together. This is a smoothie that is close to impossible not to try out. Things we should know about the “Influenza Season” also known as “flu” season. The timing of a flu is close to impossible to predict, it’s some what very unpredictable because the “flu” season varies in different parts of the country and from season to season. The most common seasonal flu typically arrives between October and May. In parts of the world the common peaks of the flu season is around December and February. It’s also very different to predict how/what the flu season will be like. The “FLU” season as mentioned before is very unpredictable in numerous ways. Flu season comes around every year, the flu spreads every year, but it’s very difficult to determine the timing, the severity and the duration of the season. Again, all these common factors varies from one year to another. There are many different options we are given to protect ourselves from the flu. One of the most common recommended yearly by our doctors, pharmacist and health officials is the “flu vaccine” . The vaccination is for everyone from 6 months and older, this has to be the first and foremost important step in protecting ourselves against the flu. Health officials announce it every year that we should start getting vaccinated as soon as the flu vaccine becomes available. Normally, these vaccines are ready and available by Mid-October and the best part now about these “flu vaccines” is that they’re “FREE” at least where I live in Canada. Also, they’re no longer just available at the doctor’s office, these vaccines are readily available to be taken at many pharmacies, community health centers and flu clinics. I’ve shared many different smoothie and drink recipes that will help you stay protected, help boost the immune system and energize the body to stay protected all throughout the season. Be sure to try out some of these everyday smoothies; Orange Immune Booster Juice, Fruity Turmeric Smoothie, Cold Buster Ginger-Turmeric Drink, and Tropical Turmeric Smoothie. 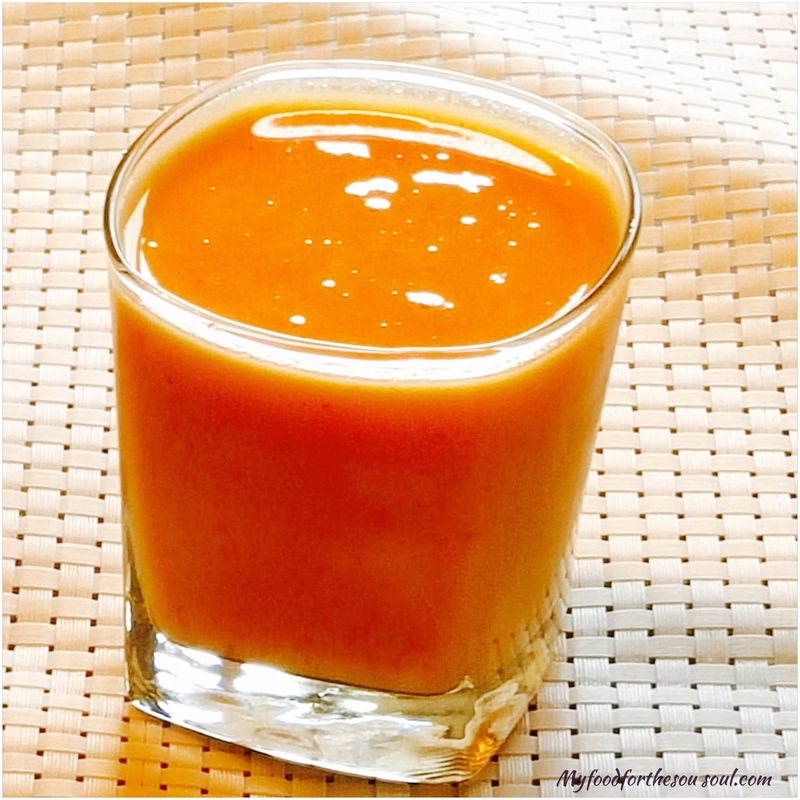 Blend all together into a nice smooth consistency and enjoy!